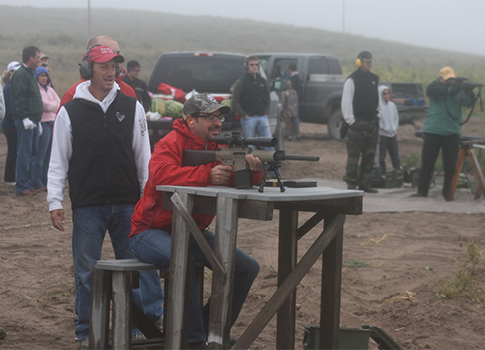 Denver-based Headwaters Strategies lobbyist Adam Eichberg participated at a "watermelon shoot" in September 2012 at the farm of Colorado state Sen. Greg Brophy (R.) where he fired a semi-automatic rifle with a high-capacity magazine. "I really hate watermelons," Eichberg said via email when asked for comment. "It seemed like he had a darn fine time," state senator Brophy said in an interview with the Free Beacon. While Colorado Democrats have stopped short of proposing an outright assault weapons ban in the state, Mayors Against Illegal Guns has been a high-profile supporter of such bills. Brophy said it was not just Eichberg who wanted to pop off a few rounds at immobile melon targets. Democratic Colorado Gov. John Hickenlooper also asked to be invited to the melon shoot, he said. "To top it all off, a week after we did the watermelon shoot this last year, the governor was out in eastern Colorado doing a bike tour," Brophy said. "And the governor comes to my house on Friday night and practically begs to come to my melon shoot next year. 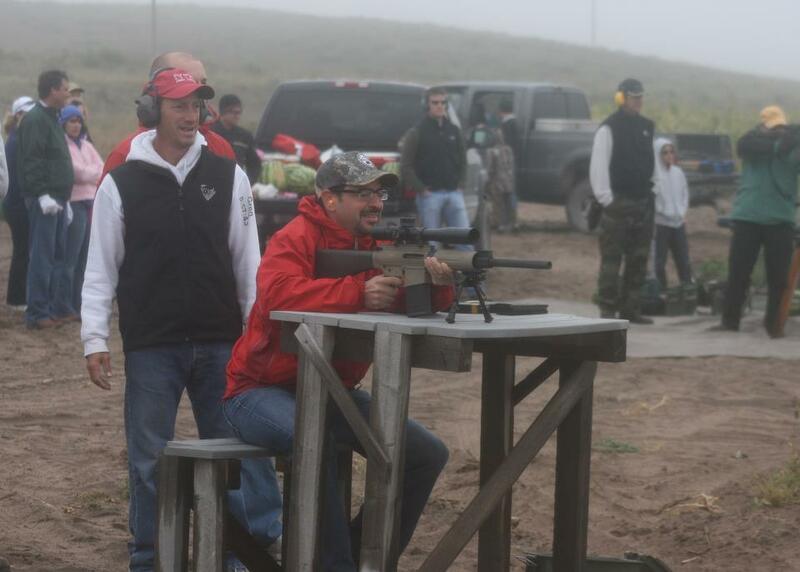 A few months later he's in contact with Bloomberg's group and planning gun-control measures in Colorado." Hickenlooper’s office did not return requests for comment. Brophy said he is a friend of Eichberg, but could not let him or Hickenlooper slide. "You wonder if they've had a change of heart, or if they're being hypocritical like we see in so many politicians where they don't want to live under the laws they're pushing," Brophy said. Brophy said he has been holding the annual watermelon shoot for seven or eight years, usually on the third Friday in September. "We do a bike ride, have dinner then go out to the farm the next day and blow up watermelons with various firearms," he said. "It's an absolute blast." "Shooting watermelons is one of the most fun things in the world," Brophy continued. "It makes a great sound … KATHUNK." This entry was posted in Politics and tagged Congress, Gun Control, John Hickenlooper, Mayors Against Illegal Guns, Obama Economy, Progressive Movement. Bookmark the permalink.